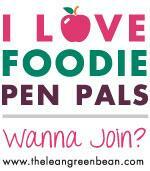 I was blown away by my Foodie Pen pal Julie this month. She had clearly given a lot of thought to putting it together. I had told her I was reading My Jewelled Kitchen and was currently quite interested in Middle Eastern cooking. Tahini is a staple in our house as I make a lot of hummus but I think I might try something new with this one. Any ideas? The nougat is soft almost fudge like, it's very sweet, I know Trevor will love it. I've been wondering recently if my sweet tooth is mellowing as a few foods I've tried I've found too sweet. That said, I still had to try all four of the nougat flavours and I certainly won't be going sugar free any time soon. Julie calls the water melon seeds a wild card, I'm quite big on seeds and often make these toasted pumpkin seeds but I've never tried water melon seeds before. Do you remember the children's cartoon Rugrats? Chuckie eats a watermelon seed and a watermelon plant grows inside him? Well, that episode seems to have buried itself deep into my psyche as it's the first thing I think of when I see the watermelon seeds in my box. They taste great though, crunchy and salty which is always a winning combination and there's no signs of any watermelon plants sprouting inside me. 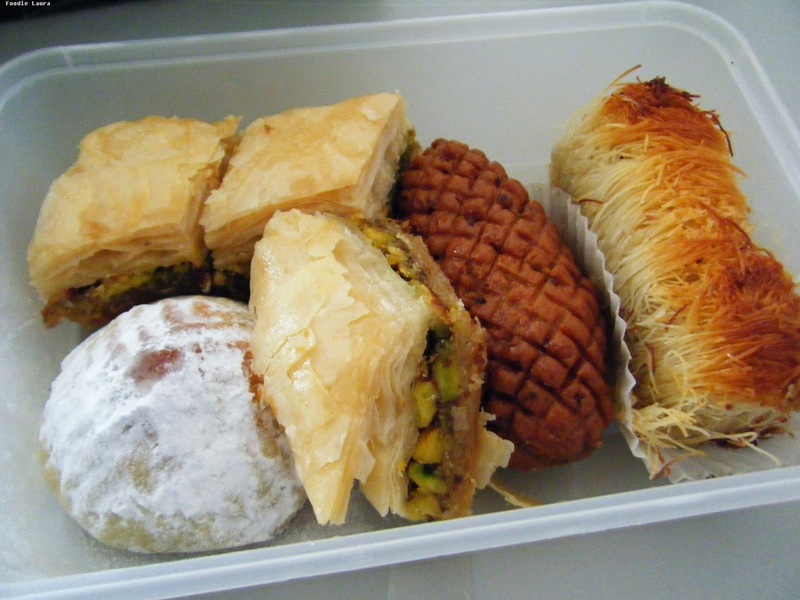 The selection of sweets is amazing and I have some of this kataifi pastry (a shredded filo) in the freezer so perhaps, I can try and recreate this cylindrical almond one on the end. This is the best Baklava I have ever tasted and that's after it's travelled through the post (although it was very well packaged) to get to me. 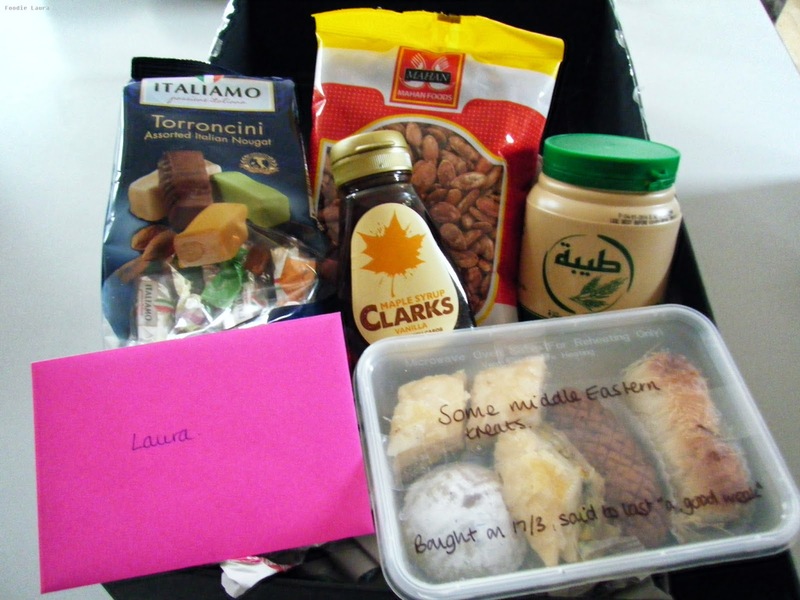 I sent a foodie box of my own to Rachel at Easy English Eating if you'd like to join in the fun next month you can sign up via Rock Salt.